FRANKFURT -- BMW's factory in Oxford, England, is currently the favored location for building an electric version of the Mini, two sources familiar with the company's thinking told Reuters on Wednesday. 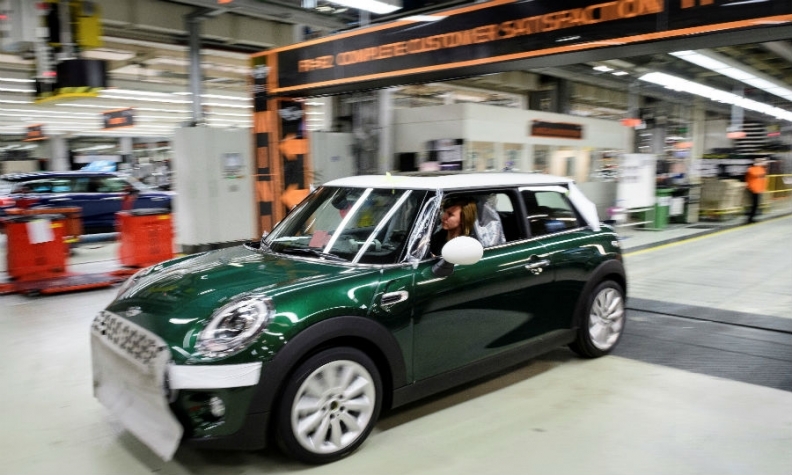 Mini makes around 70 percent of its approximately 360,000 cars at the Oxford plant but BMW has built up an alternative manufacturing base in the Netherlands amid concerns about Britain's suitability as an export hub following its exit from the European Union. BMW has said it has several choices about where to build the vehicle, announced last September, including at a plant operated by contract manufacturer VDL Nedcar in Born, Netherlands, where a plug-in hybrid version of the Mini is already being built, or a BMW plant in Regensburg, Germany. Building in Britain is not essential to Mini as most customers do not know where the cars are built, the brand's boss, Peter Schwarzenbauer, said at the Geneva auto show in March. He said BMW would decide by the end of this year on the production location.